New Mayor Rick Chrest addresses the media. Brandon Sun- File. Well, nobody ever said it would be easy. 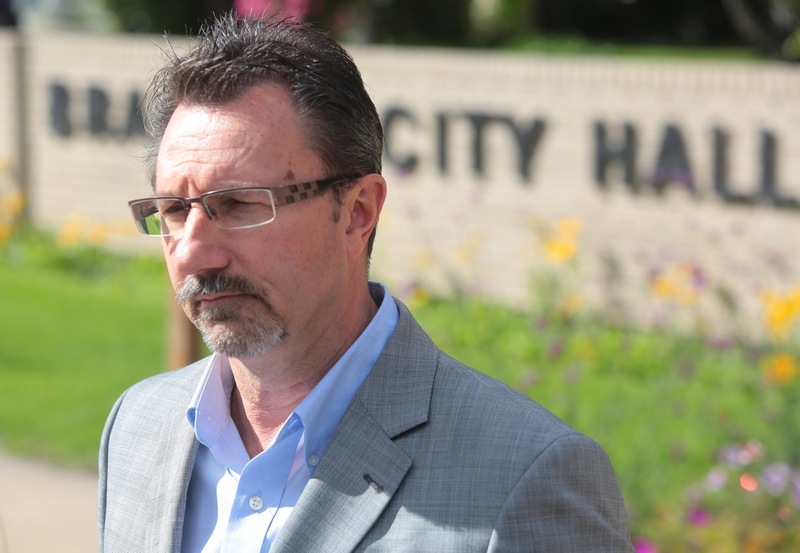 As the dust settles from Wednesday’s municipal election, Rick Chrest will trade offices from his west-end business to the heart of the city for the next four years. The former city councillor’s ascension to becoming the city’s quarterback has been in the making the better part of the past year, culminating in his decisive win over incumbent Shari Decter Hirst. At times it didn’t come easy, and wading through the rhetoric and buzzwords surrounding political involvement can be difficult. But in the end, Brandonites spoke and the vision was cast for the next four years. Funny enough, when we speak of vision for the community, the platform Chrest was running on had little as far as future commitments. He stuck to the “firm hand on the tiller” mantra that resonated well with voters this time around. Chrest’s promise of “back to basics” style of management is what the city was looking for, which ended up being the demise of Decter Hirst — who, to her credit, had much more in the way of a large-scale, long-term platform for the community. This is not to say Chrest will be devoid of any razzle-dazzle projects. However, the ideas game will need to be fairly sound in its roots if anything big is to come of this term. The business management style of civic leadership has headed up the city before and again will lead this city forward. This style of management has served the city well in the past, and Chrest, much like his predecessor, will be the right mayor for the time. Decter Hirst is someone I have a great deal of respect for and truly was a mayor of firsts for this community. I had the opportunity to serve with her on a couple of boards and committees, most prominently Renaissance Brandon. Decter Hirst was a tireless worker, and no matter a person’s political stripe, one knew she had the best interests of the city at heart. She was a fervent backer and a colourful leader who often went against the grain to try to start a conversation or see another side of an issue in front of her. Decter Hirst thought outside the box, and at the time, this city needed that. Under Dave Burgess, we had become complacent and rarely stood even close to the outer confines of our comfort zone — a fact that set the city back. While others grew, we remained — or even worse, regressed. On Wednesday, voters had clear options before them and chose the simple approach as opposed to the overarching and higher dollar valued, NDP-style visions for the city. 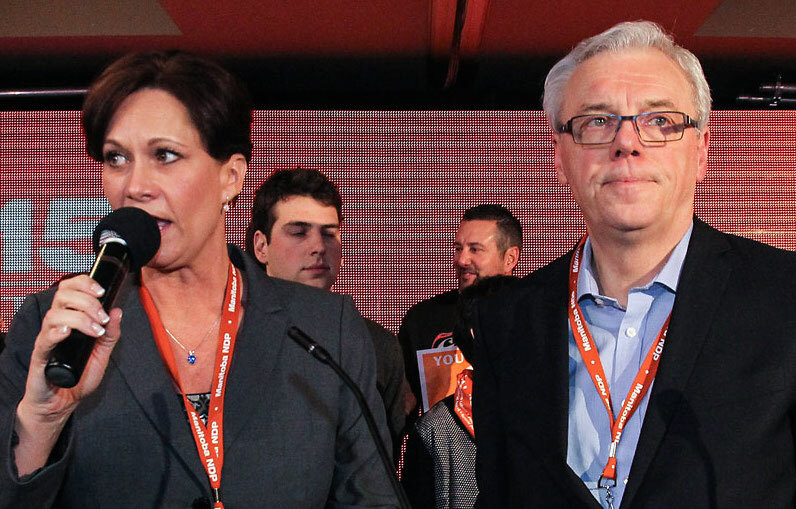 The election here mirrored a lot of what happened in Winnipeg as NDP-aligned mayoral hopeful Judy Wasylycia-Leis was toppled by right-of-centre Brian Bowman, who has fewer outward political leanings aside from his former ties to the Progressive Conservatives in Manitoba. The NDP machine has to be worried following the outcome of these two races. In Brandon, a left-of-centre mayor loses; in fortress Winnipeg, a high profile, NDP-aligned candidate loses by more than 50,000 votes. 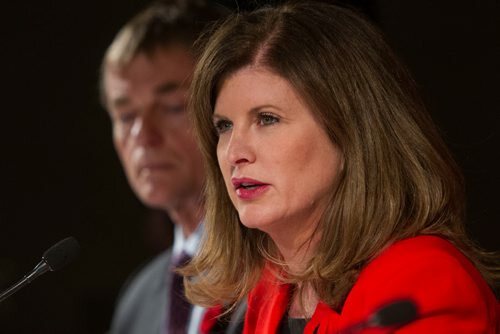 Thursday morning would be a full-on war room response for the NDP as the flavour of voters was made abundantly clear. The party will be firing flares in the air. Provincial politicking aside, there were some tremendous positives came out of this race. 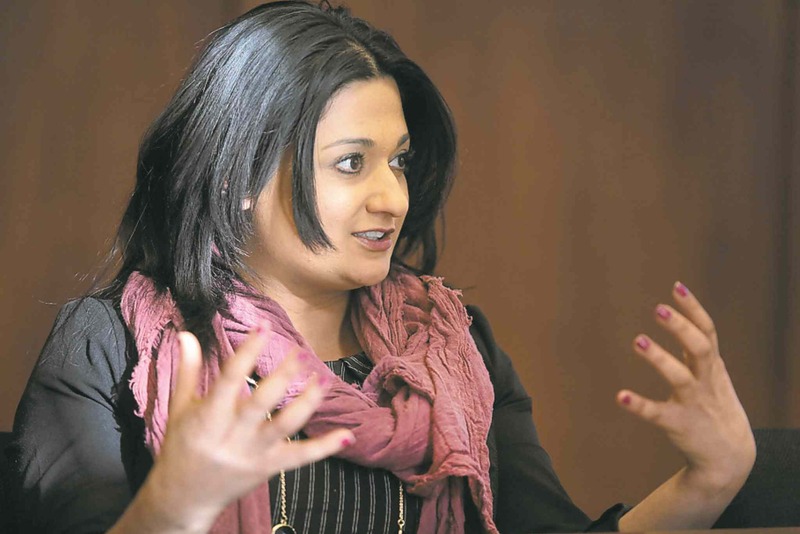 First and foremost, there are now three female councillors, the most ever for the city. This adds a greater voice of diversity around the council table and is a testament to Decter Hirst for having broken down a huge barrier for women in politics locally. Secondly, with Chrest at the reins, it will allow those who campaigned so vehemently against our former mayor to have the satisfaction that change came to the head of council. As a city, that is a good thing. Tales from the Eddy- Premiere Info!